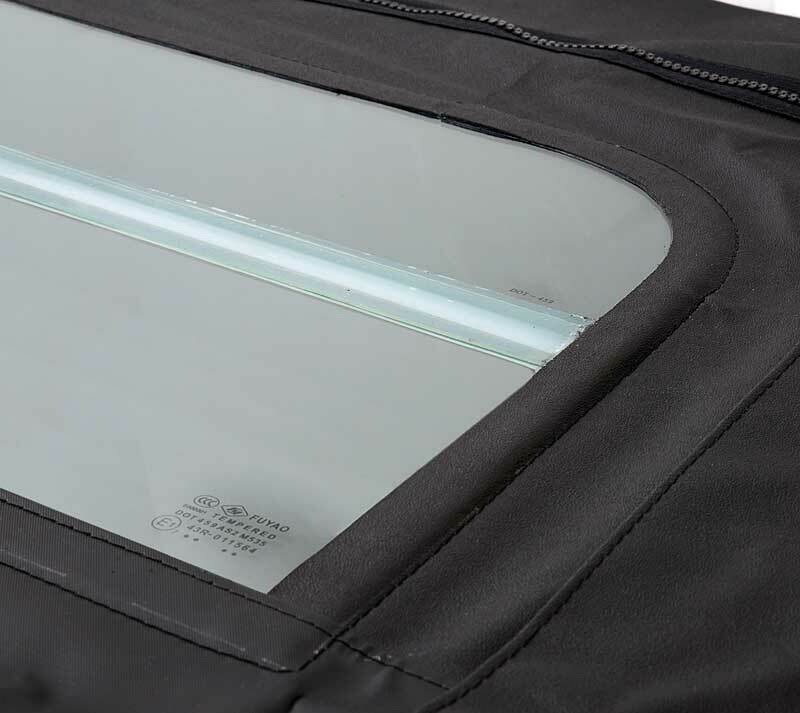 Our Restorer's Choice™ convertible top is manufactured using heavy weight sateen backed vinyl materials and original manufacturing techniques to assure you receive the best quality replacement top on th e market! Seams are highly improved upon by utilizing dacron thread and heat sealed lap seams to offer an original appearance while exceeding OEM specifications. This set features a folding glass rear window which although is not original, wil l eliminatethe need to replace your rear plastic window frequently. Window will be approximately three inches shorter vertically. Important: For best results, we recommend professional installation by a qualified shop (the glass windows must be sewn into the top when installed) *. However, for those of you that decide to tackle t he job yourself, we include detailed instructions with each top. * When professionally installed, Classic Industries® convertible tops are guaranteed not to peel, leak, separate or shrink for a full 36 months f rom date of purchase. When purchasing reproduction parts and accessories from Classic Industries® y ou can be sure that each and every product displaying the Restorer's Choice™ symbol is manufactured correctlyto exact specifications, fits the way the factory intended and is your assurance of quality.